A Rinkya Blog: Space Invaders Attack Yahoo Japan! Check out Yahoo Japan for a space invasion! Celebrating 30 years of the pioneering video game, first released in Japan in 1978 by Tomohiro Nishikado, the Space Invaders have come to attack Yahoo Japan. 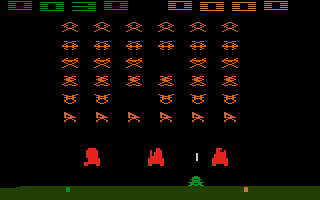 The website looks awesome and is a preview of the upcoming events for the 30 year anniversary of Space Invaders. For more on the event, take a look at another page here but check out this link FIRST!